You are NEVER too old to read Picture books! You are here: Home / You are NEVER too old to read Picture books! *SF Said is author of Varjak Paw & Phoenix. He also writes about children’s & YA books for the Gurdian. John Shelley’s self portrait cartoon. 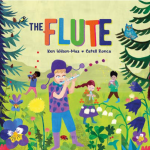 Though some books are aimed specifically at children, picture books speak to all ages. 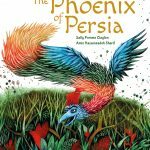 The medium of picture books, using images and words in combination, broadens the parameters of storytelling. Some things can only be adequately expressed succinctly and with sensitivity in pictures books. 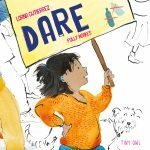 Picture books can be a ferocious medium to work with, definitely not just for children! 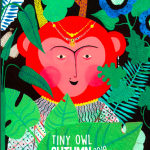 I totally agree with this campaign from Tiny Owl Publishing. Illustration has gone alongside words for most of the history of ink and of printing, from illuminated manuscripts through to Victorian chapbooks. The idea that pictures and words are only for very young children is a relatively new concept in printing and a real step backwards. *Tamsin is a broadcaster at Radio Warwickshire, Resonance FM London. 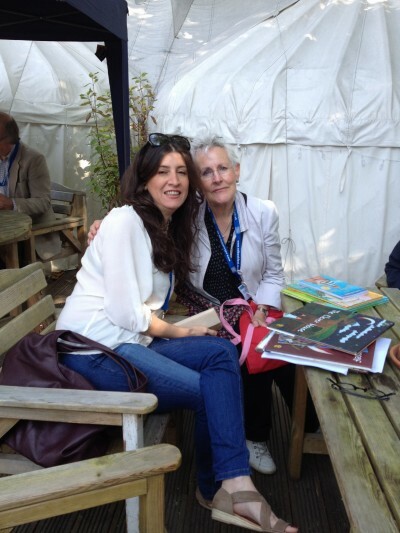 Anahita and Vivian French at EIBF, Aug 2015. I think it depends on the story. We know many children’s stories that have layers of meaning, and those layers refer to topics that are relevant for the adults as well. There is no age limit for learning some concepts in life, concepts such as love, philanthropy, and compassion. Of course when we see these concepts in a simple text of a children’s book, tears of joy come to our eyes, because they effect our inner child. *Anahita Teymorian is an illustrator and children’s books creator. She has created two of our titles: The Clever Mouse and A Bird Like Himself. She is working on the third title at the moment: There is room for Everyone.